With so much information available on women's health, it is helpful to have a single comprehensive, authoritative source. This completely updated edition of a popular reference provides a wealth of reliable information on this broad topic. 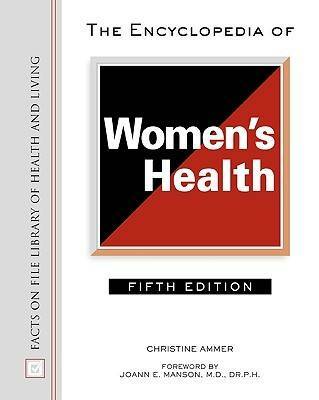 In clear, straightforward language, "The Encyclopedia of Women's Health", Fifth Edition covers the full range of women's health issues - as well as material on general health issues such as diet, exercise, and disease treatment. By explaining the latest medical discoveries and treatments and providing clear, concise information, this invaluable guide enables women to become informed, active medical consumers. New entries include addiction, angina pectoris, bariatric surgery, botox, inflammatory bowel disease, mitochondrial disease, premenstrual dysphoric disorder, stem cell, and more.